UPayCard is an online payment program that works as a hybrid e-wallet and prepaid credit card. Learn how to make UPayCard deposits at casino sites and play for real money. 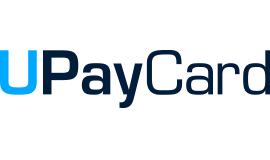 UPayCard offers an eWallet online payment solution, a high end alternative to the new wave of online financial methods. It is a beneficial payment system not just for individuals but for businesses alike. Cryptocurrency has quickly gained a foothold in the global market. At the same time, people worldwide are engaging in online gambling. The prepaid cards employed by UPayCard combine these two worlds and makes it simple to benefit from a lot of heightened financial security and fun, simultaneously. No longer do users need to rely upon land based banks and wire transfers. The agreement offered by this company and casinos is to use the card service now for other currencies, specifically for cryptocurrencies and mobile casinos. Gamblers who need a new banking method or want to do away with the fees of their traditional banks will be tempted to give UPayCard a try. 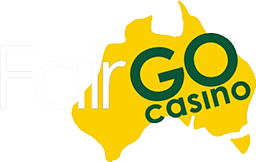 This company provides a financial solution to online casino banking for US based consumers, via the UPayCard USA, and Australian consumers with the UPayCard Australia. Soon, Canadian members will get the chance to enjoy the benefits too. Using this card, many online gamblers can do away with situations where you start playing on a website, make money, and go to withdraw those winnings only to find out that they do not have the right payment card for the casino in question. Online casinos typically offer a half dozen different payment methods, at least, but they might all be different. They might, for example, support online bank transfers but not from your bank or from your location. They might not support the one or two types of third party financial solutions you use. That said, users who do not have the right payment card, or were lured to a site based on something like the no deposit bonus can still transfer their winnings. With this card players are able to sign up to a personal account using the website and then start playing with a mobile device or desktop while they get bonuses and special offers. The company began operating in 2013 and have since become a supplier of pre-paid Mastercards for businesses and consumers. These cards that are received on sign up are Mastercards, with an embossed company logo, and are accepted anywhere that Mastercard is. You can pay for goods or services online or at physical storefront oeprations when using this card. It can be used online to make payments or even at ATM’s to withdraw the funds transferred from a casino account. This card can be used anywhere that Mastercard is accepted. As well, this card can be used with currency of the location country or any other preferred currency. It is important to remember that this card is not a credit card. It does have the Mastercard logo on it meaning that in places like the UK it is regulated by the FCA. This provides protection levels for consumers against fraud while enjoying the benefits of anonymity. Today the card is accepted by over 18 million companies in over one hundred and eighty countries. It can be used just about anywhere to make deposits and withdrawals. Applying for it is relatively simple. It requires a different process than applying for a credit card as no credit check is required of the applicant. Simply register for the free account at the UPayCard website. Then it is possible to access the online wallet and link it to a bank account. Money can be added from a bank account to the card and then deposits can be made at all the top online casinos. As not every casino accepts every bank, this is a free solution. Casinos in question will state on their website if they accept the UPayCard solution. Money in your casino account can be transfered to the card and then the card can be used directly for purchases or to set up recurring payments by direct deposit. Funds can also be moved back into a bank account. The card shows the same features as a credit card with a signature strip and card number, and at any time can be checked with the smartphone app or online. The UPayCard brand is accepted all over the world. The card offers some of the highest levels of online protection against fraud, and protection for security measures. The card is one of the fastest ways to withdraw money from an online casino account. The only downside is that there are some charges for certain services and it will be best to know what those charges are before starting. To use cryptocurrency online, this is an ideal solution as there is a BitCoin version of the card which facilitates transfer of crypto funds as needed. UPayCard is recommended as a practical, secure, and simple method for depositing and withdrawal needs at an online casino.